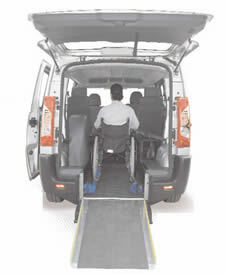 Constables Mobility offers a range of rear access wheelchair accessible vehicles designed to suit your mobility requirements. High quality and affordable travel solutions for one adult or child wheelchair, two wheelchair travellers or a motorised scooter – ideal for families, healthcare organisations, local authorities and commercial businesses. Linak UK provide innovative actuation solutions that improve people’s quality of life and working environment. An actuator is the unit, which converts low DC voltage from the control box into a linear movement. The LINAK actuator consists of three main elements; a motor, a gear and a spindle including a nut. We are sales and service agents for both Constables and Linak Linear activators and go out 'on-site' to offer a full repair and or service check.